> Bicycle helmets – To wear or not to wear? 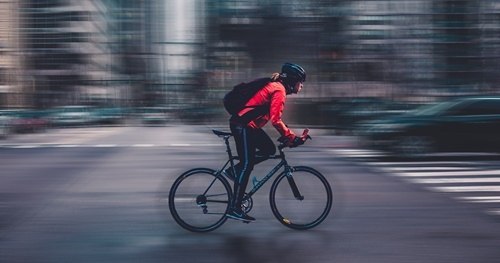 Chief Research Officer Alena Høye has conducted a meta-analysis of the effects of bicycle helmets on serious head injury and other injuries among crash involved cyclists. 179 effect estimates from 55 studies from 1989–2017 are included in the analysis. The use of bicycle helmets was found to reduce head injury by 48%, serious head injury by 60%, traumatic brain injury by 53%, face injury by 23%, and the total number of killed or seriously injured cyclists by 34%. Bicycle helmets were not found to have any statistically significant effect on cervical spine injury. There is no indication that the results from bicycle helmet studies are affected by a lack of control for confounding variables, time trend bias or publication bias. The results do not indicate that bicycle helmet effects are different between adult cyclists and children. It is also likely that bicycle helmets have larger effects among drunk cyclists than among sober cyclists, and larger effects in single bicycle crashes than in collisions with motor vehicles. In summary, the results suggest that wearing a helmet while cycling is highly recommendable. The findings was recently published in an article in Accident Analysis & Prevention.